DENIM WRAPPED TEMPLES AND FRESH COLOURATION MEET MULTI MIRRORED LENSES IN PEPE JEANS SUN. Colour reigns supreme, daring contrasts are a staple diet and eyeshapes are as at home on the catwalk as they are on the street. 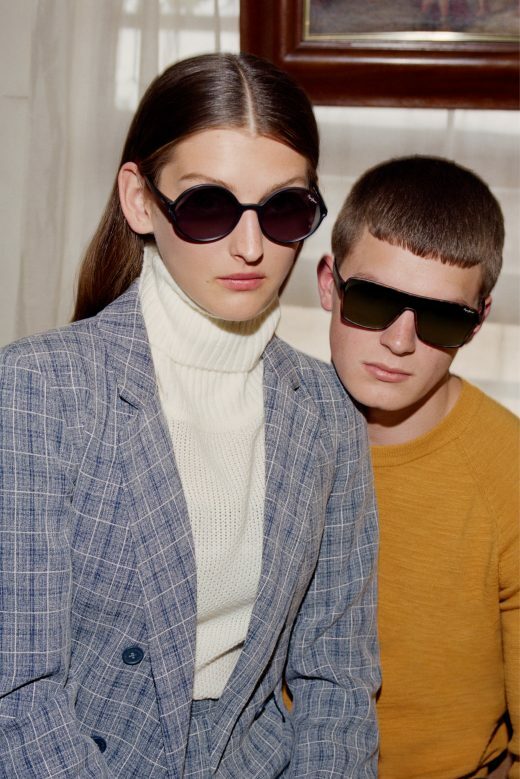 The alternative takes on the traditional, with a generous swathe of bold and strong colours, as vintage inspired silhouettes are brought bang into the future through confident colour clashes and detailed stud work.